Express Window Fashions has been providing beautiful window treatments to residential and commercial clients since 2005. You'll find a wide variety of Hunter Douglas choices to meet all your needs, including favorites like Duette® Honeycomb Shades, Silhouette® Window Shadings, Luminette® Privacy Sheers, wood blinds, shutters and more. Our fine window fashions will transform your living space into your dream home. Call on us today to fill your window fashions needs! We use Innovative, creative and functional interior design and soft furnishings solutions to make your home unique! Our award-winning designers work with builders and homeowners all around the country. From new home builds to simple projects, we make sure your experience is seamless, and the outcome rewarding. Please visit www.ImpressiveWindowsandInteriors.com for more inspiration! ***Authorized Dealer of Vista Window Film*** Gjerde's Solar Shield is a local, family owned and operated window tint company with over 25 years of experience! We specialize in professional installation of Vista™ and LLumar® window films backed by a lifetime limited manufacturer’s warranty* right here in the Twin Cities Metro in Minnesota. Our goal is to maintain the highest level of customer service and satisfaction for window film selection and installation. The Solar Shield team are expert window tint and window film installers; some of the best installers in the Midwest. We do not diversify our business ventures - we specialize! We are your window tint and window film installation professionals. Although we have done many installations all over the nation we primarily service the Minnesota region. Our excellent installers are known throughout the nation and we use only the best window film available backed by a Fortune 500 Company with the world’s leading manufacturer and marketer of high performance window films. -Reduce glare, fading and heat with window film to make your home, business or vehicle more comfortable and energy efficient. -Benefit from ultraviolet protection without sacrificing the interior of your house or vehicle or most importantly - your health. Solar window film blocks 99% of harmful UV rays. -Safety and Security window film helps deter smash-and-grab theft and protects by helping hold glass together after breakage.. Whatever the reason for your interest in window film, we are happy to help you! *Hunter Douglas Authorized Dealer* For generations, the interior decorating and window treatment specialists at Aero Drapery & Blind have been serving the greater Minneapolis, St.Paul and Western Wisconsin areas with exceptional service and quality products. Three beautiful gallery showrooms in Burnsville, Little Canada and Maple Grove provide you easy access to experience life size window coverings for your design inspirations. 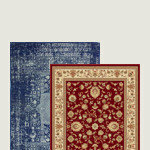 As a family owned business, exceeding our clients expectations before, during and after the sale is our top priority. Today's Window Fashions is a full-service window treatment company that sells, installs, and services all window coverings including blinds, shades, shutters, verticals, draperies, motorization, and window film. The brands that we utilize include Hunter Douglas, Kathy Ireland by Alta, Graber, Horizon, Norman, Springs, Mechoshade, RM Coco, Insolroll, 3M, and Panorama. With Budget Blinds, you don’t lift a finger. We bring the store to you and take care of it all, measure and install. And our no-surprises pricing means you get an upfront price that is a custom fit for you. Why would you ever DIY? We believe everyone at every budget deserves style and service. And that’s a beautiful place to be. Contact us today to start planning your next window coverings project. Since its founding, we at Budget Blinds Serving Forest Lake have proudly served the local community by offering high quality and stylish window coverings for any occasion. Our goal is simple: to provide you with the best products and services in order to enrich your home environment. Our lavish selection of window treatments includes shutters, blinds, draperies, roller shades, cellular (honeycomb) shades, and commercial buildings. Regardless of the window’s size or shape, you can rest assured Budget Blinds Serving Forest Lake will have a customized window coverings solution ready for you. Call us today to schedule your free in-home consultation. We’ll bring you the highest quality and most fashionable window coverings in Forest Lake, MN and surrounding areas, as well as Western Wisconsin. 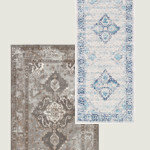 Looking forward to helping you beautify your home! 12 categories of blinds and shades including hundreds of fabrics, colors and options to choose from. FREE SAMPLES, in-home measure and install services available, FREE SHIPPING, decorating tips and ideas, No-Worry Guarantee and more! Minnesota's Authorized Dealer for Sunburst Shutters & Window Fashions. 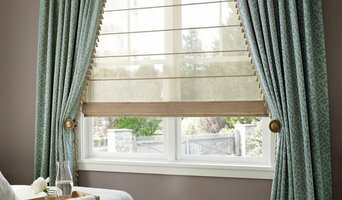 The Two Blind Men - Your reliable source for premium quality custom window treatments & awnings at affordable prices! Blinds & More Interior Design Group works with both Commercial and Residential clients throughout Souther MN and Northern IA. 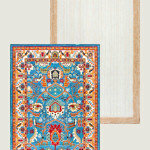 We bring our samples directly to you so that we can show you hand samples and color selections right at your windows. ~ Shop At Home Convenience! 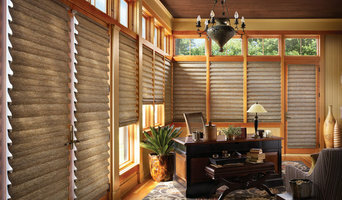 Hunter Douglas, Lafayette, Kirsch and Graber. 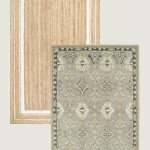 FREE Consultation, FREE Measurements, FREE Shipping, FREE Installation! 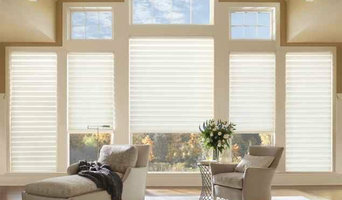 *Hunter Douglas Authorized Dealer* Custom Window Coverings in Minneapolis, MN — Bed and Blinds has been providing quality window fashion products and expert design advice in the Twin Cities area since 1979, right in the comfort of your own home. We are a Hunter Douglas Showcase Dealer specializing in the Hunter Douglas Products, including their Alustra line and custom shutters. 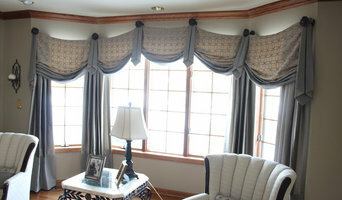 We also make our own custom draperies and valances, additionally offering matching bedspreads. Personal service is our trademark. Our designer Renee has been referred on Angie's List by our satisfied customers. Our showroom is your living room, so please call for a FREE in home appointment. We also have access to the Hunter Douglas showroom in Roseville, which is open weekdays from 9 A.M to 4 P.M (by appointment only). Bed and Blinds has an A+ rating with the Better Business Bureau. Bed and Blinds accepts Visa, Master Card, American Express, Discover and of course your personal check is always welcome. Total Window Design has provided the greater Minneapolis-St. Paul area with custom blinds, shades and shutters for over 26 years. With our extensive installation experience, product selection and eye for design, we work closely with you to achieve a lasting window treatment to suit your style and protect what’s yours for years to come. Decorating & Enhancing Residential Windows & Spaces in the Central Minnesota Area for 30 years.